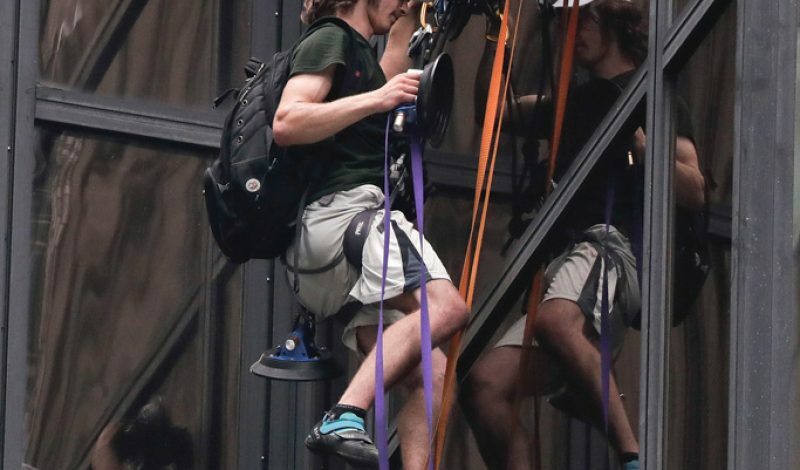 The West Virginia climber who was caught scaling the Trump Tower was noticed not only for his political tactics but also for his taste in climbing footwear. He made it up about 20 floors before being pulled inside by authorities. His YouTube video did not state the purpose of the meeting he was requesting.